Review: Lorenzo Chiabotti resurfaces on FUSE's vinyl-only INFUSE offshoot with what may well be his most high profile release to date. The former Moscow Records and Monologue Music man starts in confident fashion on side A, unfurling the quietly melodious, rolling tech-house-funk of "Esc One", before diving deep into murkier waters via the creepy electronics, foreboding chords, heavy UKG bass and skipping beats of "Blondie Brownie Beat". It's on the flipside, though, where you'll find the strongest dancefloor moment: the buzzing bass, punchy tech-house beats and metallic electronics of title track "Each One Teach One". Review: Having built his reputation via a regular series of self-released 12" singles, East End Dubs is now beginning to make guest appearances on selected labels. Here he pops up on the long established, vinyl-only INFUSE imprint with a trio of club-ready concoctions. On the A-side you'll find "Gradual Steps", a rolling and attractive fusion of bouncy deep house drums, spacey, Motor City chord, thickset bass and glitchy tech-house flourishes. As usual, there's a wonderful swing to his drums and the stretched-out chords are hazy and evocative. You'll find more of these sumptuous pads and chord progressions on similarly-minded flipside cut "Mind Traps", while closer "Enhance" is another deep house/tech-house hybrid blessed with a notably epic breakdown. Review: Mannheim's favourite son Fabian Winkels returns with more bleepy and swing fuelled minimal tech house: exactly the way we like it. 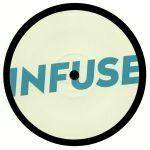 The man behind such imprints as Salty Nuts serves up his second release for the FUSE London sublabel here. "Shaped Like Kayla" demonstrating the same kind of hypnotic and slinky grooves that have landed him releases on top labels like Mulen and local institution La Pena. "Who Is The Drummer" gets that MPC style jitter on in fine form, assisted by bumpy bass and whirry synth textures for perfect afterhours mischief. Finally, "Navigate" fractures the beats for a different kind of groove altogether, but still trippy and funky as hell. Winkels is a regular on local imprints making big waves in the scene at present, such as Sukhumvit, Kusi and BE9. 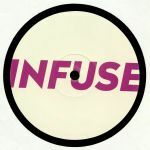 Likewise, Infuse have had a stellar year with great releases by Julian Alexander, East End Dubz and Jack Wickham. Review: Back in October, Fabian Winkels donned the Ho Do Ri guise for the first time, delivering a fine minimal funk two-tracker. For this swift follow-up, he's returned to the INFUSE label he previously graced under the Fabe alias. Like its predecessor, Lost In Betty's Ford boasts swinging, funk-fuelled tech-house cuts driven forwards by rubbery rhythm tracks, jammed-out basslines, and glitchy, cut-up samples. While the two deep house-informed flipside cuts are rather good, the real heat is on the A-side. 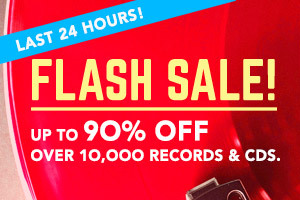 Choose between the subtle, garage-influenced shuffle of "Elotrans", and the elastic tech-funk of "High Level Booster". Both, though, are well worth heavy rotation. Review: Serial collaborator Romain "Traumer" Reynaud is at it again, this time joining forces with fellow Parisian producer Gregory "Point G" Dorsa for a three-track workout on INFUSE. The experienced duo predictably hits its stride from the word go, serving up some swinging rhythms, hypnotic sub-bass and Salt & Pepa samples on peak-time tech-house box jam "Push It". There's a more percussive and slightly glitchy feel to the bongo-laden "Modulation Tropique", while banging B-side "Locoliente" feels like the kind of bouncy tech-house floorfiller that Sheffield sorts Swag used to do so well in their early 2000s pomp. Review: Fuse London head honcho Enzo Siragusa takes up the reins for the Infuse sublabel, with this new groovy thumper titled "Little Angel". It shows a much deeper and understated side to the producer than his usual tough rolling/swing-fuelled tech-house functionalism - traits he shares with close comrades such as Archie Hamilton, Rich NxT and Rossko. Man of the moment Cristi Cons - the Romanian causing a storm with his productions and remixes both solo and as part of SIT (with Vlad Caia) - steps up to deliver a great remix that's as lean, dreamy and hypnotic as you've come to expect from him. Another great rework alongside recent efforts for the likes of Azimute, Durrrred or Lumieux.